Key Difference: x86 is a family of instruction set architectures that are based on the original Intel 8086 CPU. The x64 is an instruction set architecture that belongs to the x86 family that supports 64 bits per address. Computer technologies have been constantly evolving to meet the demands of the customers. Newer, better and faster technology is being awaited for. When the developers meet a limitation on a certain standard, they end up changing the standard. X86 and x64 are both processor sizes that are available when purchasing a computer, though they differ in terms of performance. x86 is a family of instruction set architectures that are based on the original Intel 8086 CPU. It was originally introduced as a 16-bit extension of Intel’s 8-bit 8080 processor and was launched in 1978. The family offers a variety of different processor sizes including 16-bit, 32-bit and 64-bit, with additional sizes under development. The term x86 is derived from the fact that early successors to the 8086 also ended in the numbers 86. All the extensions to the x86 families are fully backward compatible, in other words compatible with the older versions. The term is more commonly used to refer to the x86_32 or the 32-bit set because the term became popular after the release of this version. In technical terms, the 32-bit has been shortened to x32 to differentiate it from the 16-bit (x16) and 64-bit (x64). The x16 variant has become obsolete, with the most commonly being used are the x32 and x64 versions. The x64 is an instruction set architecture that belongs to the x86 family. The original specification was created by AMD and is now used by other companies such as Intel, VIA, Apple, etc. It supports large amounts of virtual memory and physical memory than its predecessors. It was originally launched for servers that required capacity to handle greater loads and memory requirements, but now is compatible in almost all PCs. 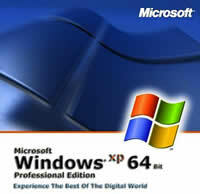 x64 is backward compatible and can work with 32-bit programs, however it is unable to work with 16-bit programs. The x16, x32 and x64 are different from each other and the bits refer to the way the processor handles the information. In the x16, only 16 logical processors can exist, while x32 can go up 32 logical processors and x64 can have 64 logical processors. If running a system in 32 bit architecture, the system is limited to the 32 bits that the registers can point to. The 32 bit pointer can only point a maximum of 4.2 billion addresses, which comes up to roughly 4GB. However, in 64 bit architecture, the system can point to almost unlimited addresses as the memory capacity would be the square of 4.2 billion. The x64 bit supports somewhere between 1 and 128GB RAM. The x64 architecture has not been utilized to its full potential and software for this architecture is still being perfected. 16, 32 or 64 registry files depending on the architecture. Can access up to 4 GB of RAM. Can access from RAM between 1GB and 128 GB depending on the edition. Uses a software-based version of DEP. This feature is available. Kernel Patch Protection helps prevent a malicious program from updating the Windows Vista kernel.